Let the collections at Prado National Museum and Alcazar de Segovia capture your imagination. Your inner history buff will appreciate Royal Palace of Madrid and Plaza Mayor. Change things up with a short trip to Catedral de Segovia in Segovia (about 1h 25 min away). 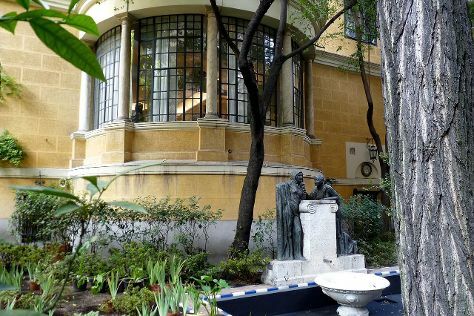 Next up on the itinerary: walk around Retiro Park, admire the masterpieces at Museo Nacional Centro de Arte Reina Sofia, take in the architecture and atmosphere at Royal Chapel of St. Anthony of La Florida, and examine the collection at Museo Nacional Thyssen-Bornemisza. To see photos, reviews, where to stay, and other tourist information, read Madrid road trip planning app . Los Angeles, USA to Madrid is an approximately 14-hour flight. Due to the time zone difference, you'll lose 9 hours traveling from Los Angeles to Madrid. Expect slightly colder evenings in Madrid when traveling from Los Angeles in May, with lows around 52°F. Cap off your sightseeing on the 31st (Fri) early enough to catch the train to Seville. Kick off your visit on the 31st (Fri): take in nature's colorful creations at Royal Alcázar of Seville and then admire the landmark architecture of Plaza de España. Get ready for a full day of sightseeing on the next day: explore the ancient world of Archaeological Ensemble of Italica, then gain insight at Real Fabrica De Tabacos, then take a stroll through Barrio Santa Cruz, and finally get great views at Catedral de Sevilla. To see other places to visit, photos, traveler tips, and tourist information, use the Seville online sightseeing planner . You can take a train from Madrid to Seville in 3 hours. Alternatively, you can fly; or drive. Plan for somewhat warmer nights when traveling from Madrid in May since evenings lows in Seville dip to 58°F. 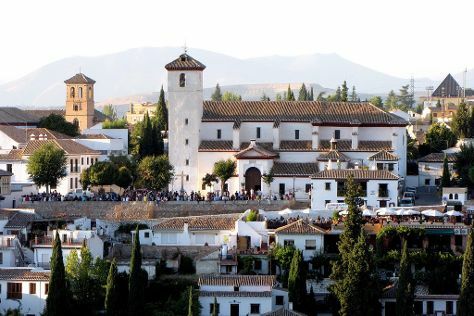 Finish your sightseeing early on the 2nd (Sun) to allow enough time to drive to Granada. Start off your visit on the 2nd (Sun): take in the architecture and atmosphere at Basilica de San Juan de Dios, then admire the natural beauty at Generalife, then contemplate the long history of Monasterio Cartuja, and finally appreciate the extensive heritage of Mirador de San Nicolas. To find more things to do, maps, and tourist information, go to the Granada road trip planning tool . Getting from Seville to Granada by car takes about 3 hours. Other options: take a bus; or take a train. In June in Granada, expect temperatures between 86°F during the day and 61°F at night. Cap off your sightseeing on the 3rd (Mon) early enough to go by car to Alhambra. Kick off your visit on the 3rd (Mon): head outdoors with Arquenatura and then take a peaceful walk through Area Recreativa Rio Dilar. Plan my day in Alhambra using traveler tips and tourist information provided by Inspirock. 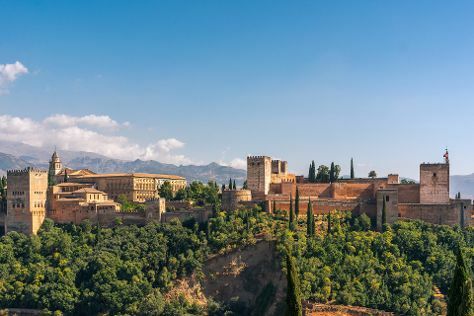 Alhambra is just a short distance from Granada. June in Alhambra sees daily highs of 83°F and lows of 59°F at night. You will have some time to spend on the 4th (Tue) before leaving for Granada. Kick off your visit on the 4th (Tue): take in the spiritual surroundings of Saint Jerome Monastery and then admire the landmark architecture of Alhambra. To find ratings, more things to do, and other tourist information, use the Granada vacation maker website . Granada is just a short distance from Alhambra. Wrap up your sightseeing on the 5th (Wed) early enough to drive to Cordoba. 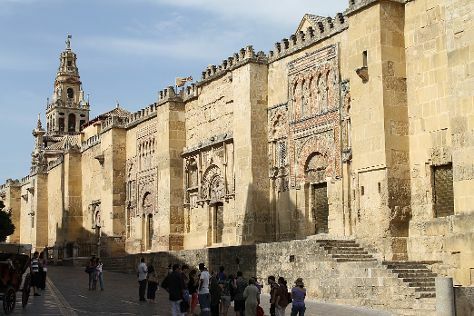 Start off your visit on the 5th (Wed): get engrossed in the history at Palacio de Viana, admire the striking features of Mezquita Cathedral de Cordoba, then get to know the fascinating history of Calleja del Panuelo, and finally examine the collection at Casa de las Cabezas- Patios de Leyenda. To see where to stay, reviews, traveler tips, and tourist information, use the Cordoba holiday maker website . Traveling by car from Granada to Cordoba takes 2.5 hours. Alternatively, you can take a train; or take a bus. When traveling from Granada in June, plan for somewhat warmer days in Cordoba, with highs around 94°F, while nights are about the same with lows around 62°F. You will have some time to spend on the 6th (Thu) before leaving for Madrid. On the 6th (Thu), admire the masterpieces at Museo Cerralbo, then explore the world behind art at Museo Sorolla, and then admire the masterpieces at Monasterio de las Descalzas Reales. To find reviews, where to stay, maps, and tourist information, you can read our Madrid trip maker website . You can take a train from Cordoba to Madrid in 2 hours. Other options are to fly; or drive. While traveling from Cordoba, expect a bit cooler days and about the same nights in Madrid, ranging from highs of 87°F to lows of 61°F. Cap off your sightseeing on the 7th (Fri) early enough to catch the train to Barcelona. On the 7th (Fri), don't miss a visit to Placa Espanya, then pause for some photo ops at Casa Batllo, and then don't miss a visit to Basilica of the Sagrada Familia. Get ready for a full day of sightseeing on the 8th (Sat): see some colorful creatures with a scuba or snorkeling tour. For reviews, maps, more things to do, and other tourist information, go to the Barcelona holiday planner. Take a train from Madrid to Barcelona in 3 hours. Alternatively, you can fly; or drive. Traveling from Madrid in June, you will find days in Barcelona are a bit cooler (79°F), and nights are about the same (66°F). Finish your sightseeing early on the 9th (Sun) so you can travel to Marseille. Eschew the tourist crowds and head to Carrieres des Lumieres and Eglise St-Trophime. Basilique Notre-Dame de la Garde and St-Trophime Cloister (Cloitre St-Trophime) will appeal to history buffs. Take a break from Marseille with a short trip to Monastery Saint-Paul de Mausole in Saint-Remy-de-Provence, about 1h 10 min away. Spend the 11th (Tue) exploring nature at Parc national des Calanques. 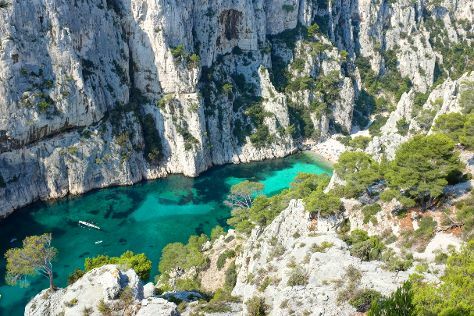 There's more to do: explore the striking landscape at Calanques. For traveler tips, where to stay, ratings, and more tourist information, read our Marseille trip planning site . Fly from Barcelona to Marseille in 4.5 hours. Alternatively, you can take a train; or drive. In June in Marseille, expect temperatures between 83°F during the day and 63°F at night. Finish your sightseeing early on the 12th (Wed) to allow enough time to take a train to Grenoble. On the 12th (Wed), fly like a bird with a parasailing or paragliding tour, then get engrossed in the history at Musee Dauphinois, and then take in the architecture and atmosphere at Collegiale Saint Andre. On the 13th (Thu), you'll have a packed day of sightseeing: see the interesting displays at Musee de l'Ancien Eveche, admire the masterpieces at Musee de Grenoble, then examine the collection at Musee de la Revolution Francaise, and finally pause for some serene contemplation at Chambéry Cathedral. For maps, reviews, photos, and more tourist information, read our Grenoble online day trip planner . Traveling by train from Marseille to Grenoble takes 3 hours. Alternatively, you can drive; or do a combination of flight and train. In June, Grenoble is a bit cooler than Marseille - with highs of 76°F and lows of 55°F. Cap off your sightseeing on the 14th (Fri) early enough to go by car to Lausanne. Start off your visit on the 14th (Fri): explore the fascinating underground world of Grottes de Vallorbe, appreciate the extensive heritage of Vieille ville, and then see the interesting displays at Olympic Museum Lausanne (Musee Olympique). Get ready for a full day of sightseeing on the next day: explore the engaging exhibits at Chaplin's World, admire the striking features of Chateau de Chillon, then examine the collection at Musee de l'Elysee, and finally appreciate the extensive heritage of Place de la Palud. To find traveler tips, other places to visit, maps, and more tourist information, refer to the Lausanne attractions planner . You can drive from Grenoble to Lausanne in 2.5 hours. Alternatively, you can take a bus; or take a train. Wrap up your sightseeing on the 16th (Sun) early enough to drive to Innsbruck. Kick off your visit on the 16th (Sun): steep yourself in history at The Golden Roof (Goldenes Dachl) and then admire the sheer force of Grawa Wasserfall. Keep things going the next day: admire the masterpieces at Swarovski Crystal Worlds, then get to know the fascinating history of Rattenberg - Medieval pedestrian zone, then contemplate in the serene atmosphere at Dom zu St. Jakob, and finally steep yourself in history at Altstadt von Innsbruck. To see more things to do, maps, other places to visit, and tourist information, read Innsbruck trip maker . Getting from Lausanne to Innsbruck by car takes about 5.5 hours. Other options: take a train; or take a bus. June in Innsbruck sees daily highs of 75°F and lows of 54°F at night. Finish your sightseeing early on the 18th (Tue) so you can travel to Vienna. Kick off your visit on the 19th (Wed): see the interesting displays at Imperial Palace (Hofburg), appreciate the extensive heritage of Schonbrunner Gardens, then stroll through Schönbrunn Zoo, and finally take in the architecture and atmosphere at St. Stephen's Cathedral. Get ready for a full day of sightseeing on the next day: browse the exhibits of Central Cemetery (Zentralfriedhof), then explore the world behind art at Belvedere Palace, and then explore the world behind art at Kunsthistorisches Museum Wien. For reviews, traveler tips, maps, and other tourist information, use the Vienna trip planning site . You can fly from Innsbruck to Vienna in 4 hours. Alternatively, you can take a train; or drive. In June, daily temperatures in Vienna can reach 77°F, while at night they dip to 56°F. Wrap up your sightseeing on the 21st (Fri) to allow time to travel to Berlin. On the 21st (Fri), admire the masterpieces at Pergamonmuseum. For more things to do, ratings, reviews, and other tourist information, read Berlin day trip planner . Fly from Vienna to Berlin in 4.5 hours. Alternatively, you can drive; or take a train. Wrap up your sightseeing on the 23rd (Sun) early enough to travel to Oslo. On the 24th (Mon), contemplate the long history of Akershus Castle and Fortress (Akershus Slott og Festning), see the interesting displays at Viking Ship Museum, and then stroll through Sognsvann Lake. 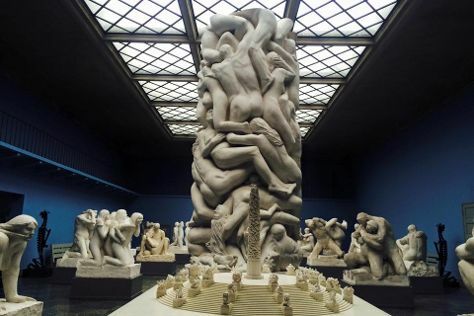 Get ready for a full day of sightseeing on the 25th (Tue): admire the masterpieces at National Gallery of Norway Nasjonalgalleriet and then admire the masterpieces at Vigeland Museum. To find reviews, where to stay, photos, and tourist information, use the Oslo planner . You can fly from Berlin to Oslo in 4.5 hours. Alternatively, you can drive; or take a train. In June in Oslo, expect temperatures between 67°F during the day and 46°F at night. Wrap up your sightseeing by early afternoon on the 25th (Tue) to allow time for travel to Stockholm. Appreciate the collections at Vasa Museum and ABBA The Museum. Get in touch with nature at Stockholm Old Town and Riddarholmen. And it doesn't end there: see the interesting displays at Skansen, explore the world behind art at Prins Eugens Waldemarsudde, step into the grandiose world of Royal Palace, and glide through natural beauty at The Green Trails. To see more things to do, traveler tips, where to stay, and tourist information, read our Stockholm trip site . Getting from Oslo to Stockholm by flight takes about 3 hours. Other options: take a train; or drive. In June, plan for daily highs up to 67°F, and evening lows to 50°F. Wrap up your sightseeing on the 29th (Sat) to allow time to travel to Helsinki. 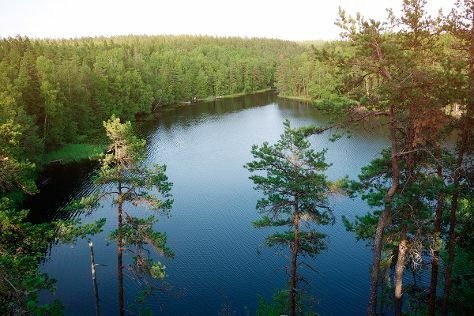 Start off your visit on the 30th (Sun): explore the striking landscape of Nuuksio National Park. On your second day here, learn about all things military at Sea Fortress Suomenlinna, get engrossed in the history at Seurasaari Island and Open-Air Museum, then take in the architecture and atmosphere at Rock Church, then explore the world behind art at Kansallisgalleria, and finally take in the architecture and atmosphere at Helsinki Cathedral. For traveler tips, ratings, photos, and more tourist information, refer to the Helsinki vacation planner . Fly from Stockholm to Helsinki in 3 hours. Alternatively, you can ride a ferry; or do a combination of bus and ferry. Traveling from Stockholm to Helsinki, you'll lose 1 hour due to the time zone difference. In June, daytime highs in Helsinki are 65°F, while nighttime lows are 50°F. Wrap up your sightseeing on the 1st (Mon) early enough to travel to Copenhagen. 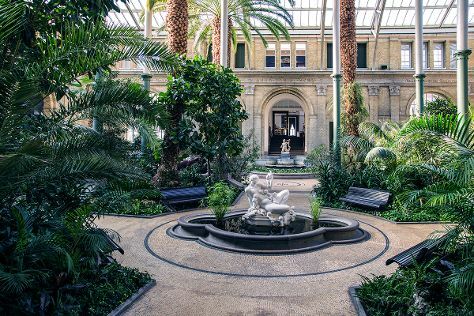 Let the collections at Ny Carlsberg Glyptotek and National Museum of Denmark capture your imagination. Escape the urban bustle at Copenhagen ZOO and Amager Strandpark. Step out of Copenhagen to go to Helsingoer and see Kronborg, which is approximately 48 minutes away. Next up on the itinerary: explore the historical opulence of Rosenborg Castle, identify plant and animal life at Jaegerborg Dyrehave, take in the waterfront at Nyhavn, and get engrossed in the history at Amalienborg. To see other places to visit, maps, where to stay, and more tourist information, you can read our Copenhagen journey maker app . You can fly from Helsinki to Copenhagen in 5 hours. Alternatively, you can do a combination of flight and train; or do a combination of train and ferry. You'll gain 1 hour traveling from Helsinki to Copenhagen due to the time zone difference. In July, daily temperatures in Copenhagen can reach 72°F, while at night they dip to 54°F. On the 5th (Fri), you'll have the morning to explore before heading off to Amsterdam. You'll explore and learn at Rijksmuseum and Zaanse Schans. Escape the urban bustle at ARTIS and Natuurgebied Zwanenwater. Change things up with a short trip to Strand Camperduin in Schoorl (about 1h 10 min away). There's much more to do: explore the galleries of Anne Frank House, get engrossed in the history at Van Gogh Museum, and contemplate the long history of Begijnhof. To see maps, where to stay, more things to do, and tourist information, refer to the Amsterdam trip itinerary maker website . Fly from Copenhagen to Amsterdam in 4.5 hours. Alternatively, you can drive; or take a train. In July, daytime highs in Amsterdam are 73°F, while nighttime lows are 57°F. Finish your sightseeing early on the 8th (Mon) to allow enough time to drive to Bruges. 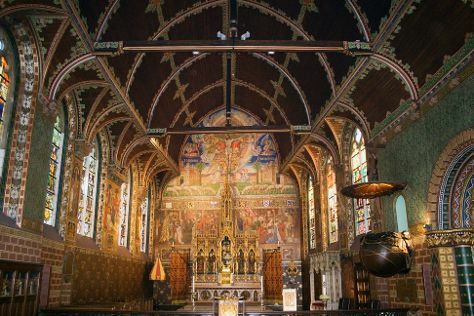 On the 9th (Tue), browse the exhibits of Holy Savior Cathedral (Sint-Salvatorskathedraal), hike along Bruges Art Route, then explore the activities along Minnewater Lake, and finally make a trip to The Markt. On the next day, look for gifts at The Bottle Shop, contemplate in the serene atmosphere at Basilica of the Holy Blood, and then steep yourself in history at Historic Centre of Brugge. Take the guesswork out of planning a Bruges vacation by using our trip itinerary maker. Drive from Amsterdam to Bruges in 3 hours. Alternatively, you can take a train; or do a combination of flight and train. Expect a daytime high around 71°F in July, and nighttime lows around 56°F. Wrap up your sightseeing on the 10th (Wed) to allow time to drive to Paris. On the 11th (Thu), admire the striking features of Cathédrale Notre-Dame de Paris, admire the masterpieces at Musee d'Orsay, and then pause for some serene contemplation at Basilique du Sacre-Coeur de Montmartre. Here are some ideas for day two: get to know the fascinating history of Île de la Cité, don't miss a visit to Eiffel Tower, then admire the striking features of Arc de Triomphe, and finally admire the masterpieces at Louvre Museum. To find other places to visit, traveler tips, where to stay, and more tourist information, refer to the Paris trip itinerary builder tool . You can drive from Bruges to Paris in 3 hours. Other options are to do a combination of bus and train; or take a train. Expect a bit warmer weather when traveling from Bruges in July: highs in Paris hover around 79°F, while lows dip to 60°F. Finish your sightseeing early on the 13th (Sat) to allow enough time to take a train to London. Deepen your sense of the past at sights like Westminster Abbey and St. Paul's Cathedral. You'll explore and learn at National Gallery and Victoria and Albert Museum. There's much more to do: learn more about the world around you at Natural History Museum, don't miss a visit to Big Ben, step into the grandiose world of Buckingham Palace, and indulge in some culinary diversions at a local gastronomic tour. For maps, ratings, traveler tips, and more tourist information, read London trip planner . Traveling by train from Paris to London takes 2.5 hours. Alternatively, you can fly; or drive. Due to the time zone difference, you'll gain 1 hour traveling from Paris to London. Traveling from Paris in July, expect nights in London to be about the same, around 56°F, while days are little chillier, around 73°F. Finish your sightseeing early on the 15th (Mon) to allow enough time to travel to Glasgow. Kick off your visit on the 16th (Tue): explore the historical opulence of Stirling Castle, then explore the historical opulence of Linlithgow Palace, then tour the pleasant surroundings at Five Sisters Zoo, and finally take an in-depth tour of Hunterian Museum. Get ready for a full day of sightseeing on the 17th (Wed): examine the collection at The Riverside Museum of Transport and Travel, then explore the world behind art at Kelvingrove Art Gallery and Museum, then get engrossed in the history at The Tenement House, and finally pause for some serene contemplation at St Mary's Cathedral. To find more things to do, where to stay, ratings, and more tourist information, read Glasgow trip itinerary maker website . Traveling by flight from London to Glasgow takes 3 hours. Alternatively, you can do a combination of train and flight; or drive. Traveling from London in July, expect Glasgow to be a bit cooler, temps between 67°F and 51°F. Finish up your sightseeing early on the 17th (Wed) so you can travel back home.